Brandon Stokley had plenty of highlights, but also took plenty of hits in his 15 seasons. 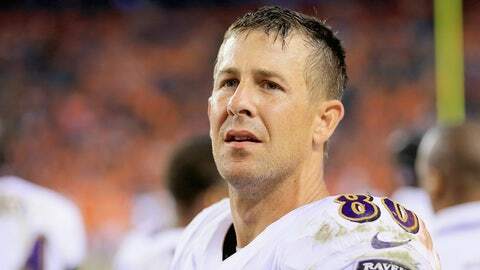 Brandon Stokley, the man who Peyton Manning calls "the best teammate I’ve ever had" and whose career accomplishments tower over his frame, is retiring after 15 seasons. Stokley, who turned going over the middle into one of the longest careers for a receiver in NFL history, told The Denver Post on Thursday he is calling it a career. "I’m glad I played this year because now I know I’m done," he told The Post. "Had I not played this year, I would have always felt I could have kept playing. I still know I can play, but my body just can’t go through it anymore." Stokley was placed on season-ending injured reserve two weeks ago after suffering a concussion against the Ravens on Dec. 8. Some reports have Stokley suffering more than a dozen concussions in his career. But he believes that number is inflated because, "I don’t know how you describe a concussion." The 6-foot, 194-pound receiver out of Louisiana-Lafayette is one of only 18 receivers to play 15 seasons. And while his 397 career grabs are more than 150 fewer than No. 17 on that list, Troy Brown, the 37-year-old’s career is certainly not short on historic moments. "I think Brandon is the best teammate I’ve ever had," Manning told The Post of the man he played four seasons with in Indianapolis and again in Denver in 2012. "He’s a guy you want on your team in your corner. Fifteen years as a slot receiver in the NFL, going across the middle, taking hits, it’s almost unheard of." And Manning should know. It was Stokley who caught Manning’s 49th TD pass of the 2004 season, which broke Dan Marino’s single-season record of 48. Tom Brady upped the mark to 50 in 2007, and Manning again took it back with TD No. 51 last week. • He caught the first touchdown of Super Bowl XXXV, leading the Ravens to a 34-7 win. • He opened the 2009 season with an 87-yard TD catch off a deflected pass with only 11 seconds to play to give the Broncos a 12-7 win over the Bengals. • Playing opposite the Broncos but alongside Manning in a 2003 playoff game, Stokley had four catches for 144 yards and a pair of scores in a 41-10 blowout win.